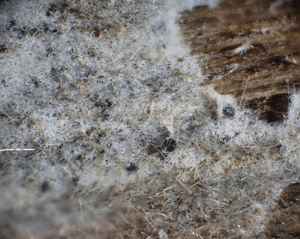 There are over 100,000 species of mold, each with unique properties. Mold reproduces by releasing spores that spread through the air until they find a damp environment that will facilitate growth. With a food and water source, mold can grow very quickly, especially in warm, damp climates. However, as long as water is present mold can grow in many different conditions, including cold temperatures. Mold usually enters a building as inactivated spores that are carried by the wind, or on clothes, shoes, and pets. In an absence of water, these spores remain inactive and do not cultivate into a mold problem. However, when they are exposed to water, mold spores can become full-fledged mold that requires professional remediation to remove safely to ensure no cross-contamination occurs to non-contaminated areas, and to reduce the chance of mold growing again in the area remediated. Water damage is worrisome because of the structural damage it can cause, but also because water damage can quickly become a catalyst to mold. Even water damage that affects a small portion of your building can create a big problem. Mold only needs a minute amount of water to begin growing, but once it has begun, it could spread to areas of your building that never experienced water damage. As long as there is still material for mold to feed on, its growth is not limited to areas where water damage occurred. Understanding common mold symptoms may help you identify a problem in its early stages. Addressing problems as soon as possible makes remediation easier than if the mold is allowed to grow. The sooner an issue is addressed, the quicker and less expensive the remediation process will be. While a small amount of mold may not seem like a grave concern, it raises many questions and should not be taken lightly. Where is the water source that allowed this mold to grow? Is mold growing unseen in my building’s walls, ceilings or floors? These are questions that professional mold inspectors and remediation experts can help answer. If your building is damp, or has a stale smell, you could be experiencing another mold symptom. Mold can quickly grow in moist areas, and sometimes emits a smell associated with damp buildings. If you see wet patches in your building, smell wet building materials, or feel a permeating coldness, your home or office could be suffering from leaks, water seepage, and mold. It is important to immediately investigate unusual smells or dampness on your property. People often make the mistake of assuming strange odors or dampness is normal in older architecture. Mildew can be powdery or downy. Powdery mildew is whitish in color but slowly becomes yellow, brown or even black. Downy mildew, on the other hand, begins as yellow spots that become brighter, and eventually turn brown. Finding mildew around your property is a mold symptom because mildew grows in damp conditions similar to mold. Mold and mildew are both fungi that spread through spores. They feed off of different substances, but the damp conditions that facilitate mildew growth are also ideal for mold. If you find mildew on your property, it would be beneficial to perform a mold inspection as well. The presence of mold will affect everyone differently, but as a respiratory irritant, mold has been known exacerbate allergies and asthma. Itching skin, sneezing, headaches, as well as watering and itching eyes are also commonly reported side effects of mold. Certain types of mold, such as toxic mold and black mold have been known to cause more severe medical complications such as brain damage, lung damage and cancer. Addressing mold quickly and professionally will minimize your health risks and will protect your property from deterioration. Understanding the factors that cause mold growth is the first step in learning how to prevent it. Staying alert for permeating dampness, high humidity, condensation and mildew may help you identify a problem, and allow you to address it before it gets out of hand. Since water damage is the number one cause of mold growth on residential and commercial properties, the easiest way to protect your building from mold is to keep your home or office in good condition. 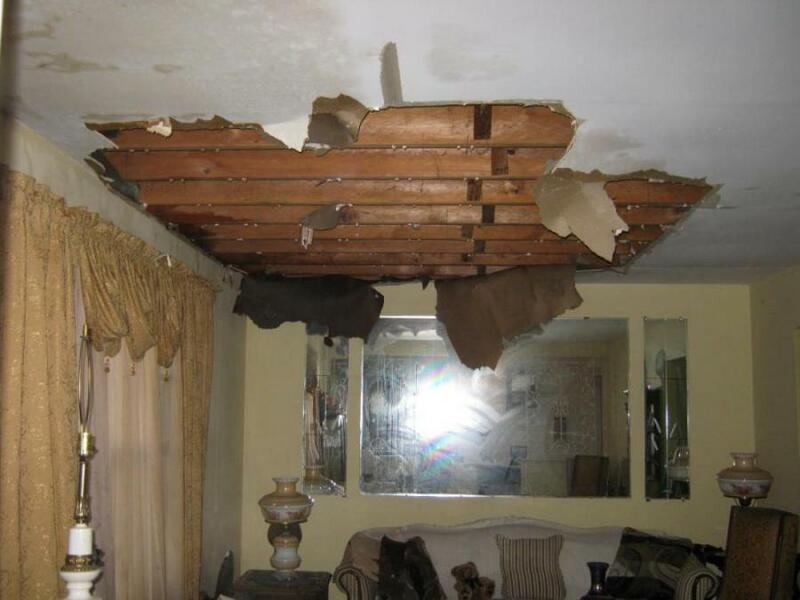 Quick and efficient water damage restoration can repair damage and prevent mold growth. Roof leaks and pipe leaks are a big contributor to indoor mold, as are malfunctioning appliances, toilet overflow and severe weather. Small repairs around your home, office or industrial building can also go a long way to preventing future mold problems. Simple solutions, such as cleaning and repairing your gutters can prevent roof leaks. Making sure your drain lines are unobstructed can also prevent water from leaking inside the walls of your building. If you suspect mold in your building, professional mold remediation and removal is the most efficient and reliable way to proceed. Other professional services, such as water damage restoration, dehumidification and drying, can also go a long way to preventing mold and deterioration.